Loopmasters present Margaman Dread, the definitive collection of lethal royalty-free Jungle and Drum and Bass samples. Bursting with 830MB of content, containing everything you need to create heavy dub-plate bangers; with rolling drum loops, driving-dubby music loops and a host of dirty one-shot samples ready to drop straight into the mix. Fresh off the back of his `25 Years of Dread Recordings` mix, Margaman has established himself with a number of big-name releases and support from established industry names including Ray Keith. At 175BPM, Margaman Dread supplies you with Loops which fit perfectly into Drum and Bass and Jungle, but are equally at home in other bass-heavy genres including Reggae, Dub, Ragga and Ska – with offbeat pianos, horns, guitars and organs just waiting for some vintage slapback delay. Each of the samples has been expertly produced with a natural flow, bringing live rhythms to all elements of your productions. The percussion loops feature a range of acoustic sounds, with subtle, well-crafted FX to fill out any drum break and add swing to rigid beats. Also included in the pack are a comprehensive selection of 138 high-quality Drum hits (cymbals, snares, kicks, hats and percussion) and an astonishing collection of 90 earth-shattering bass hits which will cut through the mix and drive your low-frequency productions. 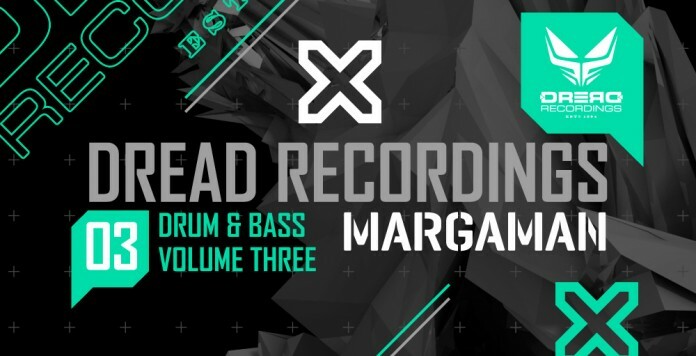 Margaman Dread brings you the very best in royalty-free Jungle and Drum and Bass samples tailor made for all bass-driven productions. Create hard-lined, dance floor dub-plates in minutes – check out the demos and download the taster pack now!